Delta has been named one of Fast Company's Most Innovative Companies Worldwide in 2018. The airline's use of RFID technology to track customer bags in real time earned it the No. 6 spot among travel companies. Delta's airport biometrics partner CLEAR, in which the airline owns a 5 percent equity stake, also made the list at No. 8. "This recognition is another proof point that our approach to solving customer experience challenges is working," said Gil West, Senior Executive Vice President & Chief Operating Officer. "Innovation isn't about finding ways to use the latest gadget or shiny object; it's about working with our operational teams to find scalable solutions that solve actual issues in our operation for maximum customer and employee benefit – even if the technology we use, like RFID, has been around for a while. About 110 million Delta customers check 120 million bags each year. In 2016, Delta was the first airline to use RFID bag tags and provide customers with real-time tracking of their bags throughout their travel experience without having to input a tracking number. The program, which replaces decades-old barcode hand scanning, expanded on a global scale in 2017. 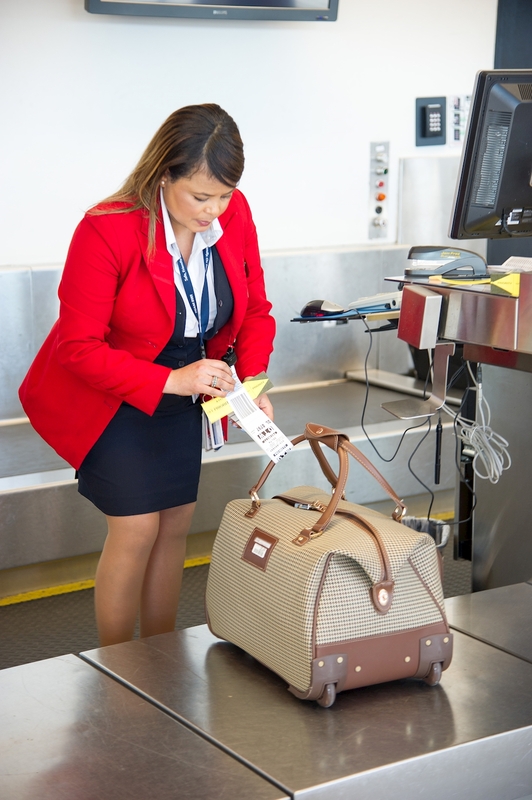 Delta has deployed more than 4,600 scanners, installed more than 3,800 RFID bag tag printers and integrated more than 600 pier and claim readers to enable hands-free scanning of baggage throughout the handling process. On the heels of Delta launching RFID bag tracking, an International Air Transport Association (IATA) study found that a global RFID solution could reduce the number of mishandled bags by up to 25 percent by 2022 and save the air travel industry $3 billion during the next seven years. RFID technology supports IATA's Resolution 753, which requires airlines to keep track of every bag from start to finish by 2018, demonstrating the value of RFID tracking on a global scale. Beyond the RFID project, Delta's operational teams often work with the airline's global innovation team at The Hangar, a partnership with Georgia Tech, to explore solutions for employee- and customer-experience challenges. The Hangar allows Delta to think big, start small and learn quickly, with minimal cost. Some examples of work coming out of The Hangar include bots to pre-select meals, a "flight family" communication system that allows teams working a flight to more easily communicate digitally, and cargo pallet tracking. "Regardless of the innovative solutions we explore, our goal is always the same," West said. "We want to develop tools that support our people in their efforts to take care of our customers because there's nobody better in the world at doing that than Delta people."